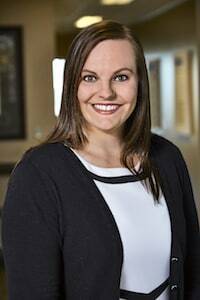 Emily joined the Miller and Zois team in December of 2016 as a Litigation Paralegal, specializing in medical malpractice and personal injury law. She has various experience working on both plaintiffs' counsel, as well as the defense side of medical malpractice and personal injury cases. Emily thrives in a fast paced setting and provides legal assistance to several of the firm's attorneys by drafting pleadings related to specific cases, organizing and summarizing medical records, as well as assisting attorneys in trial preparation and trial. Before becoming a Paralegal, she worked in Health Information Technology for five years, where she found her passion for Medical Malpractice law. She is passionate about helping others and takes great pride in knowing she is seeking justice and fair compensation for clients. Emily holds both an Associate Degree in Paralegal Studies and a certificate in Litigation Paralegal Studies. She is continuing to pursue her passion in the legal profession and currently attends the University of Baltimore, working towards advancing her degree in Government and Public Policy.